Summer, along with its oppressive heat and humidity, has arrived. 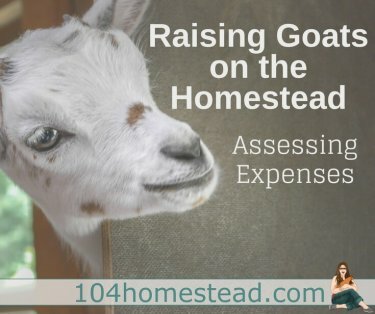 Some of the best stuff on the homestead happens in summer (like the arrival of ducklings and a garden that’s starting to produce), but summer comes with struggles as well. The slugs are out in full force. If you haven’t got ducks to take care of the problem for you, you might have to deal with them yourself. Beer is a popular solution as well as eggshells. If all else fails, you can buy yourself some Praying Mantis. Yes, that’s totally a thing. Powdery mildew is rearing its ugly head. Here’s a recipe that will help to eliminate the problem with tips to prevent its return (or at least try since powdery mildew is often out of our control). Knowing when to water is a big challenge. It really depends on what type of garden setup you are watering. Learn the watering rules here and get some other great gardening tips as well (like how cooking water can boost the nutritional benefits of you plants). I hope you all are drinking more water during the summer heat, but don’t forget that your animals need that extra H20 as well. Animals that produce by-products (like milk and eggs) need plenty water more than most. If you notice a reduction in egg or milk production, that might be the reason. Shade is also super important. You don’t want to be standing out in the blazing sun and neither do your animals. I love that our animal areas have tree shade, but during scorchers I’ve been known to set up sun umbrellas for them. Ice ice baby! We put ice cubes in the goat’s water and they love it. The same goes for the chickens. Another “cool” trick I learned was to put ceramic tiles (I got them free on craigslist) in the freezer and pull a few out throughout the day to put in with the poultry. They love standing on the tiles to cool themselves down. This is especially popular with the quail. It’s wise to have electrolytes on hand. I’ve got a few homemade recipes as well as some options that work in an emergency situation. The best way to survive cooking in the summer is to turn off that stove and step away from the oven. Now is the time to pull out the grill (don’t worry, I’ve got lots of recipes that aren’t just hot dogs & hamburgers) or start using the slow cooker (here’s our Pinterest board that’s just slow cooker recipes). My friend Teri has an outdoor kitchen that is actually budget-friendly and another friend of mine uses a Sun Oven (even though he lives in Alaska). Hey, thank you very for sharing these tips. Really looking forward on something from you for keeping the house cool without AC or another heavy electric stuff.